Summit Gymnastics in Savannah is now enrolling for late Spring 2015 classes which start April 13 & end May 31. For more than 10 years, Summit Gymnastics has produced top-quality gymnasts by providing a safe & productive work environment that enhances physical and mental well-being. To register online for all Summit’s beginning preschool, recreational and tumbling classes, click here. For more information or to schedule a free trial class, call 912-921-1034 or email summit.frontdesk@yahoo.com. 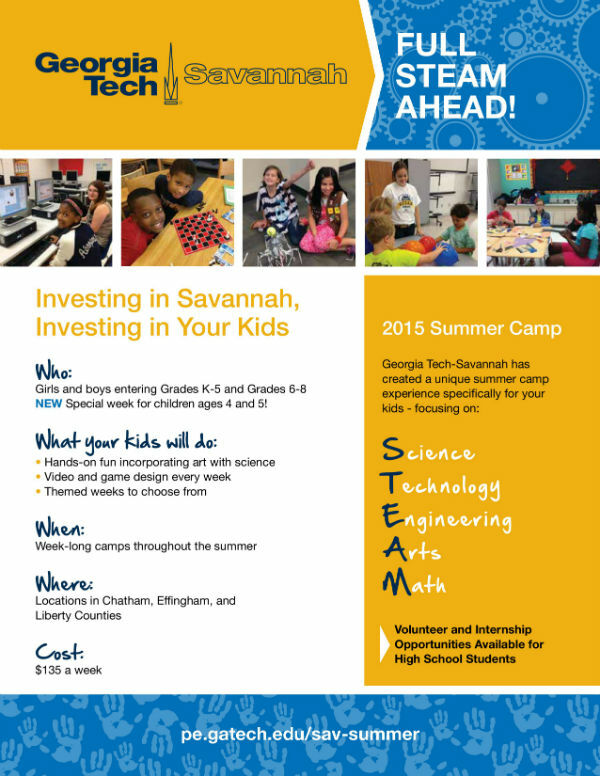 Give your kids a unique summer camp experience focusing on Science, Technology, Engineering, Arts & Math @ Georgia Tech Savannah Science & Technology Summer Camps 2015. Registration is open. Details here. 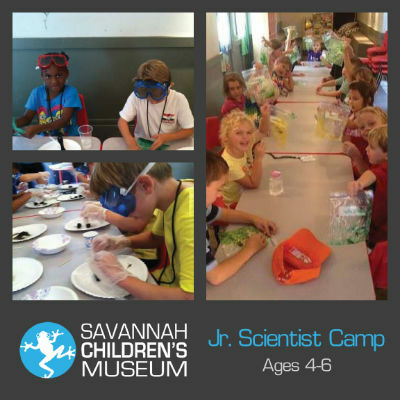 Savannah Summer Camp enriches and encourages STEAM (Science, Technology, Engineering, Art and Mathematics) learning for your child. Geared toward rising pre-kindergartners in a special week as well as kindergardeners to middle school students, STEAM supports learning high-level science concepts in unique ways. By combining creativity with hands-on experiences and explorations, children learn more fully and deeply. All students are welcome at Savannah Summer Camp, including underrepresented groups, girls, and students with learning differences. Camps will begin June 1, 2015 and end July 31, 2015. A variety of themes are offered, with each week being a special and exclusive program.Full STEAM Ahead also provides opportunities for high school students to earn service hour credits through volunteer experiences as well as paid summer internships. High school and college students compete for these opportunities and will gain valuable leadership and learning experiences. Full STEAM Ahead – St. Andrews School, Wilmington Is. Full STEAM Ahead Little Edition – St. Andrews School, Wilmington Is. 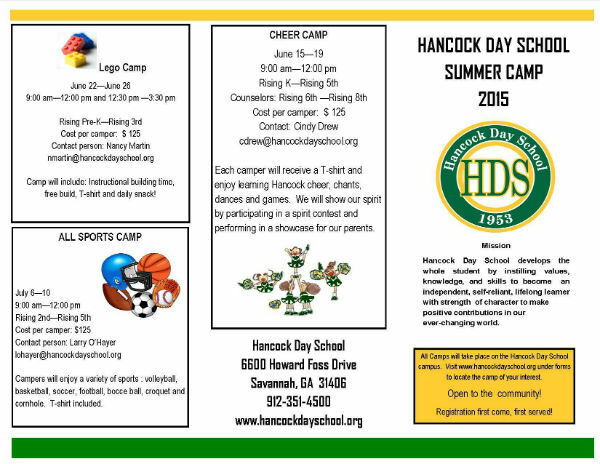 Hancock Day School – a private school in Savannah – offers a variety of sports & specialty camps for Summer 2015. Hancock Day School Summer Camps are open to the public. Your child does not need to be an HDS student to attend. American Girl Camp 2015 @ Hancock Day School, Savannah. For rising 2nd-rising 4th graders. Art: Jewelry, Mask Making & Painting Camp @ Hancock Day School, Savannah. For rising 3rd-rising 8th graders. Ballet I Camp @ Hancock Day School, Savannah. For rising 3rd to rising 6th graders. Basketball Camp @ Hancock Day School, Savannah. For rising 4th-6th graders. Cheer Camp 2015 @ Hancock Day School, Savannah. For rising kindergarteners-5th graders. Cooking Camp @ Hancock Day School, Savannah. For rising 2nd-5th graders. Jewelry, Mask Making & Painting Camp @ Hancock Day School, Savannah. For rising 3rd-rising 8th graders. LEGO Camp @ Hancock Day School, Savannah for rising pre-K to rising 3rd graders. Sports Camp 2015 @ Hancock Day School, Savannah. For rising 2nd-rising 5th graders. STEM Camps 2015 @ Hancock Day School, Savannah. For rising 2nd-6th graders. Hancock Day School, www.hancockdayschool.org, 6600 Howard Foss Drive, Savannah, 31406 tel. 912-351-4500 email: kodom@hancockdayschool.org On Facebook here. On Twitter here. Hancock Day School is a SouthernMamas.com advertiser. 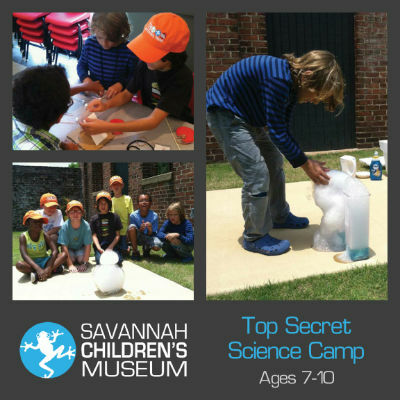 FOR MORE SAVANNAH SUMMER CAMPS, VISIT OUR SUMMER CAMPS 2015 GUIDE HERE. May 15, 2015, 6:30PM, Tybee Is. Join in the all-out water fight among fun-loving beach bums of all ages. Daytrips/Weekend Getaways: Things To Do With Kids on Hilton Head Is. SouthernMamas.com regularly spotlights our favorite nearby daytrip spots to visit with kids outside of Savannah. 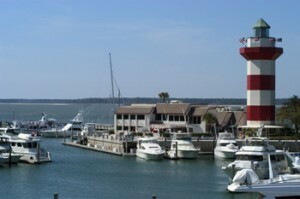 One of our favorite family daytrips from Savannah is Hilton Head Is. Hilton Head Island offers over 50 scenic miles of public bicycle pathways and nature trails. The hard-packed beaches are also popular for bicycling at low tide. A classic on Hilton Head Is. for almost four decades, Gregg Russell Concerts under the Liberty Oak in Harbour Town happen regularly during summer (weather permitting) & periodically during spring. Details here. This family-oriented singer/storyteller performs sing-a-longs, ballads & silly songs with audience participation. Kids in the audience try to get Gregg to pick them to sing a song to the crowd, often using creative pick-me posters etc. Concerts are free; there’s a $6 gate fee per auto. The 605-acre Sea Pines Forest Preserve includes easy trails to various points of interest including the 4,000-year-old Indian Shell Ring, listed on the National Register of Historic Places, and a wildflower garden that’s amazing when in bloom. The walks range from 25 minutes to one hour. Bicycles are not permitted on the nature trails, so please park your bicycles at the locations provided. Open from sunrise to sunset. The Forest Preserve is free; there’s a $6 Sea Pines gate fee per auto. More info here. For Summer 2015, the free trolleys will run May 22 – Sept 6. Located just off Pope Avenue on the south end of the Island, this interactive museum provides a unique place for educational play between children and their parents, grandparents or caregivers. Little ones from infant to age 8 will be captivated by the fun filled play centers and engaging activities. Summer 2015 Hours: The Sandbox be open Mon-Sat. : 10-5 June thru August, Sunday: Closed. For hours, click here. Educational natural history and animal programs at a venue that includes salt marsh board walks, open fields, gardens, trails and a 1200 square foot butterfly habitat that is home to some 13 species of native butterflies to the Lowcountry. *Perfect rainy day activity. 8. Go to the beach at the newly redone Sea Pines Beach Club. Convenient access to the Surf Shop, restrooms, shower facilities & Surfside Market featuring to-go sandwiches, salads, snacks & cold beverages. Details here. 87 North Sea Pines Drive, Hilton Head Island, South Carolina 29928. 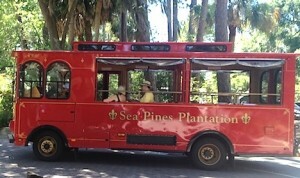 The beach club is free; there’s a $6 Sea Pines gate fee per auto. The ruins of the old Baynard estate, the main house as well as attendant slave quarters, are permanently preserved within six-acre Baynard Ruins Park. The home was raided during the Civil War and Union forces made it their headquarters. Details here. The ruins are free; there’s a $6 Sea Pines gate fee per auto. For more kid-friendly daytrips/weekend getaways from Savannah, click here. Posted in Daytrips from Savannah, FREE Spring 2019 Savannah kids events, Hilton Head Is. events, Home-school, Travel/Weekend Outings | Comments Off on Daytrips/Weekend Getaways: Things To Do With Kids on Hilton Head Is. Countdown to Summer 2015 is on. 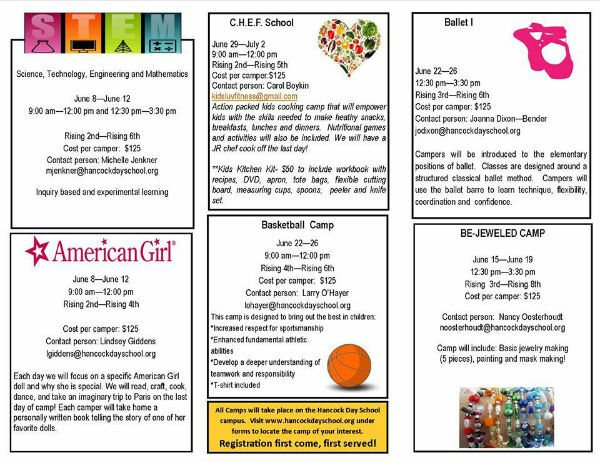 In celebration, we’ll spotlight a Savannah area summer camp every week from our Summer Camps 2015 Directory. Jump into the top secret world of being a scientist and explore incredible experiments in this week of mad scientist fun. Campers will engage in loads of hands-on, exciting, and educational experiments that will blow their minds. Dig into the past and explore the sciences deep inside the earth! Campers will engage in activities that delve into the fascinating worlds of archaeology, paleontology, and geology during this action packed, dirt filled week of summer fun! Put on your lab coats and goggles and dive into the wonderful world of science! Campers will become botanists, chemists, paleontologists, entomologists, and explore other fascinating science fields during this week of summer fun! June 29-July 3 (ages 4-6). Register here. July 6-10 (ages 4-6). Register here. All 2015 Summer Camps* will be housed at Esther F. Garrison School of Performing Arts, the K-8 school located directly behind our museums. This will provide campers with a well-equipped and climate-controlled home-base for the week. However, this will not decrease the amount of time they spend in the museums; It will only maximize the learning space. All of 2015 Summer Camps have been designed and will be taught by a team of highly-trained and experienced educators. *Jr. Engineer Train Camp for ages 7-10 (July 13-17) will be housed at Georgia State Railroad Museum and after-care is not available during this week of camp. 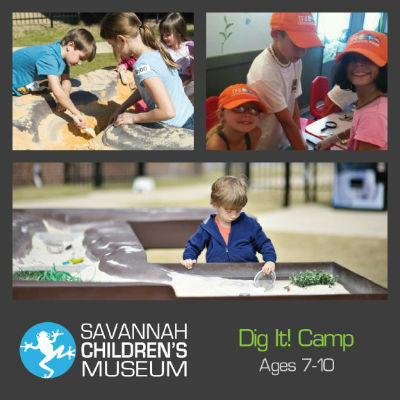 FOR MORE SAVANNAH SUMMER CAMPS, VISIT OUR CAMPS DIRECTORY BY CLICKING HERE. U-pick strawberry season & limited u-pick blueberry season is underway @ Coastal Georgia Botanical Gardens, Savannah. 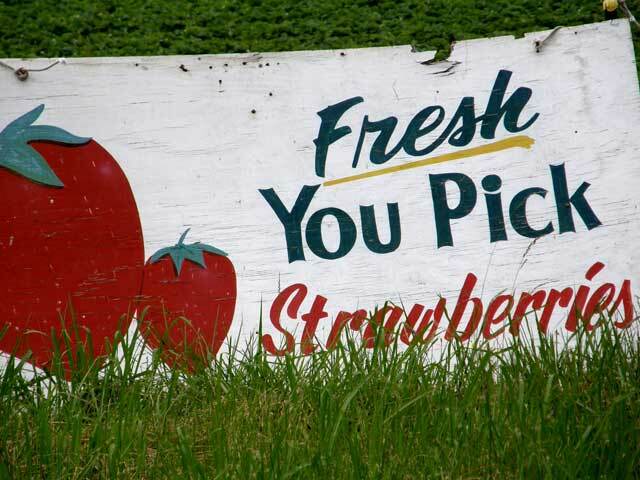 Picking hours will be Monday-Thursday and Saturday from 9 am to 12 noon (Note there’s no berry picking on Fridays or Sundays). Call 912-921-5460 to learn the status of the field prior to arriving, as poor weather or large crowds may pick the field clean well before the 12 noon scheduled closing. The best time to pick is first thing in the morning at 9 am (as it is cooler, too). No pets allowed in the fruit picking fields during your harvest. Children must be supervised to prevent plant trampling. You are responsible to pay for all fruits (ripe or unripe) picked during a visit. COST: $2.50 per pound. Containers provided. Bring cash. The gardens have picnic tables scattered around the grounds if you want to make a picnic out of your strawberry picking. All new themes for Kindermusik in Savannah begin in April. Join 88 Keys Piano on Mondays beginning April 6. Babies ages 0-1 will begin “Music Makes My Day” at 9:20am. Toddlers ages 2-3 begin “Family and Friends” at 10:15am. Children ages 4-5 begin “All Keyed Up” at 3:50pm. To enroll, or visit a free trial class, call 912-988-5397, email music@88keysga.com, or visit our website at www.88keysga.com. Also, make plans to join us for the Kindermusik monthly musical play date for ages 0-7. April’s theme is “April Showers, Playdate’s Ours!” Play date will be held on Wednesday, April 22 at 10am and is open to ages 0-7. Kindermusik…a good beginning never ends. Contact 88 Keys Piano at 912-988-KEYS (5397) or email music@88keysga.com. Give yourself a well-deserved kid-free night. 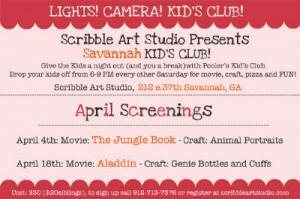 Sign up the kids for Savannah or Pooler Kid’s Club held on various Saturday nights in April 2015 @ Scribble Art Studio in Pooler or Savannah. 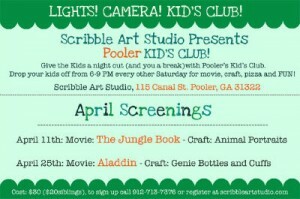 Kids will do an art project & enjoy movies, pizza, and arts & crafts PLUS you will get a kid-free night. Sounds a lot better than sitter, right? The Tummy Time Foods “Kids Can Cook” Camp is a 3-day camp that teaches kids ages 8-11 how to select and prepare healthier food options from scratch! 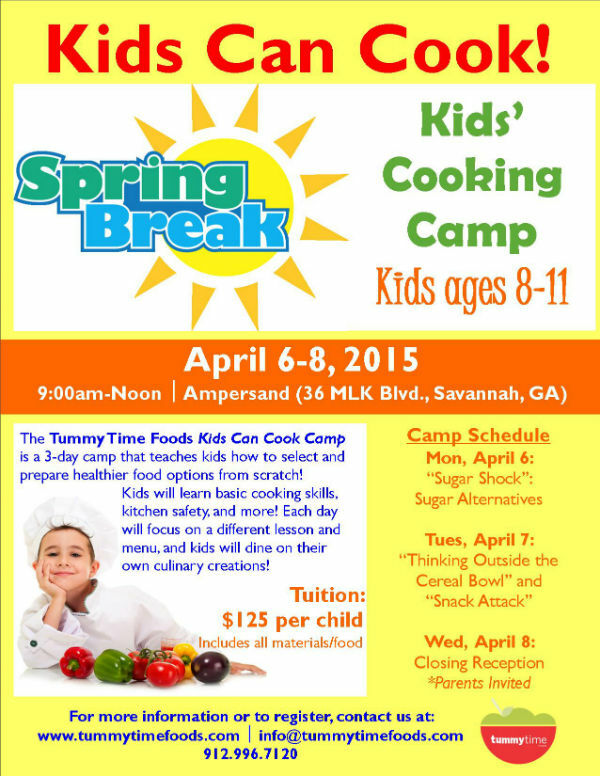 Kids will learn basic cooking skills, knife skills, kitchen safety and more! Each day will focus on a different lesson and menu, and kids will dine on their own culinary creations! The cost is only $125 per child. To register, click here. Join Tummy Time Foods for the most creative play date in town! Kids ages 5 and younger enjoy learning, singing and story time while making two seasonal food crafts—one to eat and one to keep. Cost is $10 per child. Advanced tickets are required and may be purchased individually or in a 4-session bundle by clicking here. 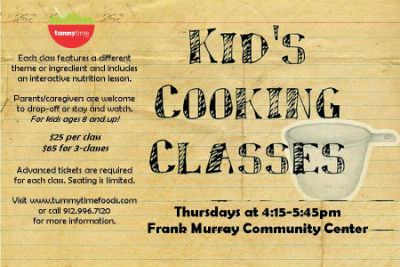 After-School Kids’ Cooking Classes on Whitemarsh Is. Each class features a special theme or ingredient and includes an interactive nutrition lesson or game. With each theme, Tummy Time Foods takes the kids on a new culinary adventure, different flavors, cuisines and seasonal produce. They incorporate nutrition and emphasize healthy eating in every class. Parents/caregivers are welcome to drop-off or stay and watch. Classes are for ages 8 & older and advanced tickets for each class are required. Cost is $25 per class or purchase a Discounted 3-Class Bundle for $65. For list of themes and to purchase tickets, click here. Tiny Tots: Snacks… And A Movie! 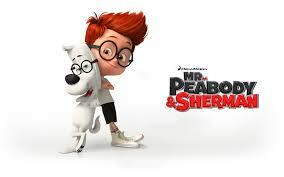 Kids ages 5 and under will make delicious snacks while watching Mr. Peabody and Sherman! The cost is $12 per child and parents are free! Seating is limited. Advanced tickets are required and available here. Get your family together (kids included!!) to make 5 delicious freezer-ready meals together! We provide the recipes, food, disposable bakeware… everything you need to leave with 5 meals ready for the freezer, oven, stove or crockpot! Participants will also assist in making an additional set of meals to donate to the Mommy Is In Treatment organization to benefit families going through Breast Cancer treatments. *Each meal serves 4-6 people. The cost is $45 per family of 4 and includes 5 meals (3 meals, 1 breakfast and 1 dessert), recipes and cooking/reheating instructions and complete sets of disposable cookware for meals. Advanced tickets are required and available here. Tummy Time Foods provides hands-on cooking and nutrition events for kids of all ages! Our signature Kids Cooking Parties are the tastiest way to learn and play! In addition to these deliciously amazing events, we also provide Birthday Cooking Parties, At-Home Cooking Parties, Cooking Classes, Cooking Camps and Family Nutrition Coaching. Looking for a creative idea for your child’s birthday? Looking for a creative activity for your kids during winter break? 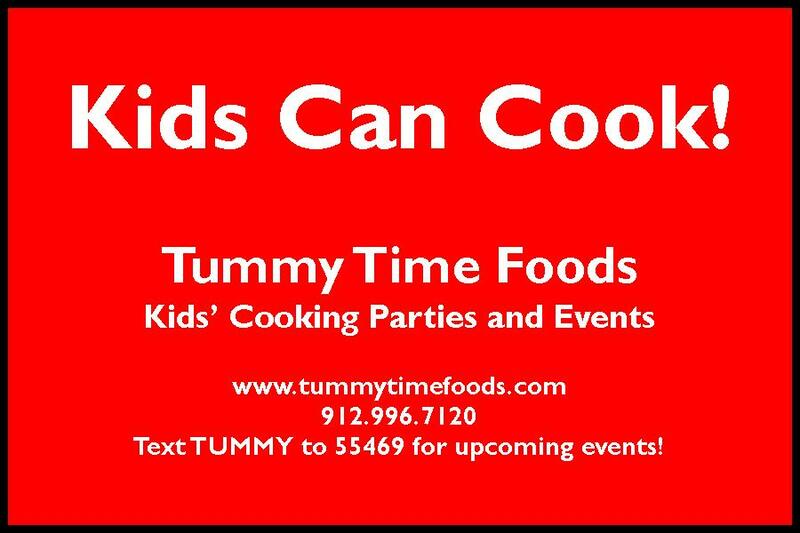 Book your Kids Cooking Party today at www.tummytimefoods.com. Registration Begins April 6. Details here. Full Day Camp @ City of Savannah’s Department of Cultural Affairs studios, 9 W. Henry St.
Drop Off: Please drop off your children no earlier than 8:30am, unless prior arrangements have been made. Adults/guardians must sign in all camp participants. Students arriving after the 9:15am bell must enter camp through the Henry Street entrance and be signed in at the front desk by an adult. Pick Up: Adults/guardians must sign out all camp participants at the back door. Late fees of $25 will be imposed for pickups between 5:30pm and 5:45pm. Students will ONLY be released to the individuals listed on the registration sheet. Parents must sign students in and out each time the student is picked up or dropped off. In order to maintain the privacy of our students, we ask that parents refrain from entering the camp during camp hours. Please see the front desk if you need to speak with your child. Appropriate Attire Reminders: For safety reasons, we suggest tennis shoes. Aprons are provided but we advise dressing your child in clothing appropriate for art making. Supervised Outdoor Activity Weather Policy: Daily outings are planned to historic Forsyth Park or St. Paul’s gym. Activities will be held in the Cultural Affairs facility in the event of rain or excessive temperatures. Please send simple, non-spoiling sandwiches, fruit, or vegetables in packaging that your child can open. Make sure that the paper bag/lunch box has your child’s name clearly marked on the front. There is NO access to a refrigerator or a microwave. NO food will be provided without prior parental approval. 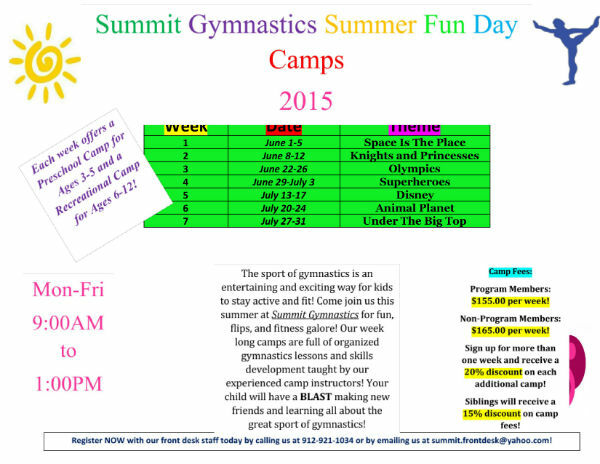 Summit Gymnastics – the go-to spot for tumbling & gymnastics in Savannah – will offer Summit Gymnastics’ 2015 Summer Camps. Each week offers a preschool camp for ages 3-5 and a recreation camp for ages 6-12. 9AM-1PM Monday-Friday. a 20% discount for each additional week. a 15% discount for siblings. Conveniently located on Savannah’s Southside at 74 W Montgomery Crossroads near Abercorn, Summit Gymnastics offers tumbling classes along with both recreational and competitive gymnastics from ages 18 months to 18 years. FOR MORE SAVANNAH SUMMER CAMPS 2015, CLICK HERE. Stroller Strong Moms offers stroller workout classes in Savannah, Richmond Hill, Pooler where you can get a rigorous workout with your child in tow. Newcomers are welcome & first class is free! See the complete class schedule here. 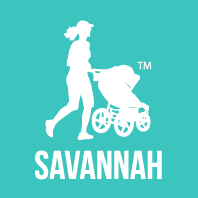 Stroller Strong Moms Savannah also offers a (well-deserved) Moms & Dads’ Night Out & race of the month. Stroller Strong Moms class at JF Gregory Park, Richmond Hill. Stroller Strong Moms class at Tom Triplett Park, Pooler. Junior League of Savannah to Host Fit Kids Fest free interactive health and fitness event for area kids and their parents Saturday, April 18, 2015, 3-5 PM at Optimist Field in Daffin Park. Since the mid 1980’s obesity has increased so that not only is it considered an epidemic, but it has become one of the most serious public health problems facing the United States. One in three children in Chatham County is considered obese. Studies show that overweight kids are more likely to become overweight and obese adults. If obesity among kids continues to increase at this rate, our current generation could become the first in history to live shorter and sicker lives than their parents. 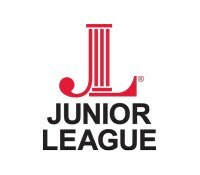 To aid in curbing this growing epidemic, the Junior League of Savannah will host their third annual Fit Kids Fest on Saturday, April 18th, 2015 from 3-5PM at Optimist Field in Daffin Park. The first 250 kids will receive free tickets to that evening’s Sand Gnats game and a free t-shirt. Fit Kids Fest is a free community event, focused on increasing awareness and prevention of childhood obesity by providing children and their parents with resources and tools to help them make more educated choices and live active, healthy lifestyles. Tummy Time Foods will be this year’s event, hosting a healthy cooking demonstration for children and their families. Parent and Child Kite Making. Fused Glass Checkers. Those are just a few of the fun kids art workshops offered in Spring 2015 @ City of Savannah’s Department of Cultural Affairs studios at 9 W. Henry St.
Register now for or children, teens, and adults in all skill levels. Sessions begin April 20 through May 15. Four week classes are available, as well as one-day workshops..
Class fees include instruction, use of studio space, use of equipment and all materials and tools required. Space is limited and advance registration is required. Credit cards are accepted. Adult classes & workshops also available. For a full schedule of Spring 2015 class & workshop descriptions, click here. This will be your last chance to take classes before Summer Camp 2015 starts. 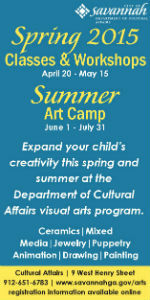 Registration for Summer Art Camp begins April 6. For information on Summer Art Camp 2015 with the City of Savannah Cultural Affairs Department, click here. To register online for Spring 2015 classes & workshops, click here. You’re welcome to register online, through email, fax (651-3677), mail (9 West Henry Street, Savannah, GA 31401) or drop it by the office. Give your garden personality and your plants a name. Join us for a morning making garden tiles. You will make six garden stakes and decorate them to your liking! All work will be fired and you will be notified when it is ready to pick up. Come join us for a parent and child kite making workshop! Students will learn how to design, construct and decorate their high flying kite! This will be the coolest summer ever at Walt Disney World, and for a limited time save up to 30% on your room at select resort hotels. From “Frozen” Summer Fun LIVE and Star Wars Weekends at Disney’s Hollywood Studios® to new restaurants and shopping at Downtown Disney® and thrills and chills at four theme parks and two water parks, there’s something cool happening all summer long during “Coolest Summer Ever” at Walt Disney World Resort. Package with tickets & dining to make the most of the magic!! But don’t wait availability for this promotion is limited. Get a no-obligation quote now or call 843-284-3241, and start planning your summer getaway!